﻿ Business Services - MCCONNELL, ROTHMAN & CO. P.C. Our Company offers a wide range of consulting services to help you improve business operations, boost efficiency, and increase the bottom line. Our firm offers complete management advisory services, including systems implementation and management, cost controls, employee benefit plan restructuring, and much more. Our firm can help your firm weigh the complex benefits and costs posed by today's qualified and non-qualified pension and profit sharing plans, including 401(k), SEP, SEP IRA, Keogh, life insurance and health insurance plans. Bankruptcy is one of the most frightening words to hear when you are running a business. However, our firm will help you through the entire ordeal while guiding you through the maze of financial and tax implications that arise. 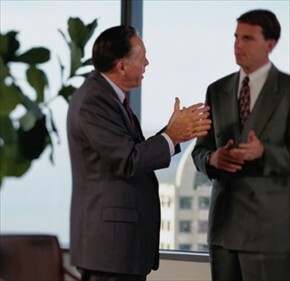 We will also consult with you regarding the benefits of reorganization or the possible necessity of dissolution. You are ready to move into the computer age, but you have fears of expensive, unsuitable software, fourteen year-old criminals hacking into your server, and systems crashing. We understand your fears and we will work with you to set-up an efficient, user-friendly computer system. Our business-savvy computer technicians and programmers can explain even the most advanced high-tech concepts in plain English. Whether you want to set up a computerized accounting system, a computer network, or even an online web store, our firm can help. Don't be left behind by internet commerce. Let us help advise and guide you into the next frontier, the internet.